The car's driver was taken to the hospital after slamming into the bus stop early Monday morning. 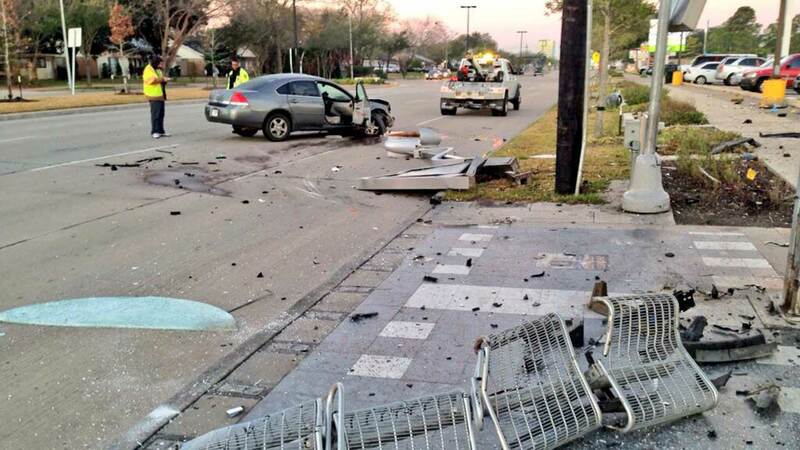 HOUSTON (KTRK) -- A METRO bus shelter in southwest Houston was badly damaged this morning when a car slammed into it. It happened at near the intersection of Gessner and Bellaire at around 6am. Police say for some reason, the vehicle left the roadway and hit the shelter at the bus stop, causing major damage. No one was at the bus stop at the time. The driver was taken to the hospital. We don't know that driver's condition.